Lighting is an often overlooked—but highly impactful—design element. 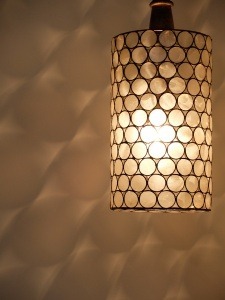 When designing their home, most people carefully select lighting fixtures as an element of their personal style. Sometimes overlooked, but equally important to the fixture style, are the placement, direction, intensity, and shape of light sources, as they all work together to set the mood in a room. Lighting can highlight or downplay an architectural feature or piece of art, and it dramatically changes colors in a space. Lighting techniques create luxurious and dramatic effects that can do as much to set a style as the colors and finishes you choose. Tape lighting can highlight a ceiling treatment or draw attention to a focal cabinet or statement piece. Soft indirect lighting amplifies architectural elements such as cove ceiling moldings. Dimmers visually transform a space, creating a warm, cozy ambience for evening. Accent lights can showcase an important collection or a single artwork. Track lighting and recessed lighting can bathe an entire wall in light (wall washing). Colored LED lighting provides striking effects for contemporary or modern décor—from recessed ceiling lights to wet bars. At Gulick Group, we view lighting design as both a true art and an essential building element to elevate the function, livability, and visual enjoyment of your home. LIFE | STYLE: October 2018Join Us on Social!